Over the last decade, nonprofits have made great strides in performance measurement. It is not uncommon these days for nonprofits to have processes by which data is collected for monitoring and reporting on outputs and short-term outcome measures to illustrate what and how well a program or service did. However, this information is generally of limited use in informing decisions about programmatic and operational improvement. The ability to use data to inform these types of decisions requires a shift from performance measurement to performance management and an organizational culture that supports learning. 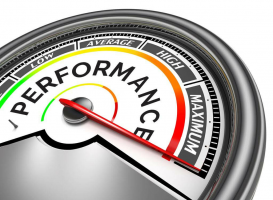 Performance management refers to a cycle of continuous improvement that involves ongoing measurement, reporting, analysis and program modification. It has become increasingly clear that while performance measurement is an important tool of accountability, it does not necessarily involve the continuous use of data to make informed management decisions. Performance measurement is a precursor to performance management, and when both are connected, they lead to organizational learning that can help nonprofits achieve better outcomes for program participants and the communities they serve. Research shows learning is a key factor in the push for performance management. Therefore, embedding data use and learning into an organization’s culture can be a key facilitator of performance management in nonprofit organizations. An organization’s culture will promote or inhibit certain behaviors and can channel behavior toward desired organizational practices and processes. Accordingly, nonprofit leaders can help establish a learning culture by finding ways to embed data use into regular organizational routines and behaviors. Although the logic of performance management has strong appeal for many nonprofit professionals, building and sustaining a learning culture, though beneficial, is seldom easy to achieve. So, nonprofit organizations accustomed to using data for performance measurement and accountability reporting may need to think and manage differently. To help make the shift to performance management, below are three points nonprofit leaders should consider when thinking about how best to build capacity and embed data use into organizational routines and processes. First, nonprofit leaders must recognize that to implement and sustain sound performance management processes means they must first figure out how to provide access to the skills, information and technology needed for staff to continually engage in data-driven practices. This access requires investing resources to develop an organizational learning infrastructure, including staff capacity. The learning infrastructure encompasses the day-to-day systems, processes and assets that contribute to an organization’s capacity to generate, collect, interpret and disseminate data. Although many resources are important to building the infrastructure, investing in the requisite equipment and technology and building staff knowledge and skills are crucial to creating and sustaining performance management. Creating safe environments that foster learning and candid conversations about data use. Regularly disclosing data and results in user-friendly formats to signal the importance of learning and build staff support and trust. Being transparent and frequently sharing data and results directly with staff to strengthen staff knowledge of what the data mean and enhance understanding of what issues the organization may be facing. Communicating and demonstrating how leaders are interpreting, responding to and acting on data. Third, to embed performance management practices into an organization, staff need time to collect, enter, examine and use data. Making that time can be challenging, especially in under-resourced nonprofits. In 2012, NTEN and Idealware conducted a surveyed of nonprofits about their relationships with data and the results showed that 61 percent of organizations lacking resources considered lack of time the primary challenge for collecting and using data. Nonprofit leaders expecting staff to integrate data use into their regular routines should have a plan for use and time allotted to engage in these activities. The pressure on nonprofits to prove that their programs and services are having an impact has led to increased emphasis on organizational systems that do more than collect, analyze and report data. Performance management is a holistic approach that creates opportunity for organizational learning and improvement. Because performance management may be a fundamental change for an organization, it might require a combination of strategies to encourage and enhance data use across all staff levels. Whether the goal is to focus internally to improve operations or externally to enhance service delivery and programs, what is clear is that nonprofit organizations must foster environments where data are viewed as a vehicle for ongoing learning, and staff have the tools and space to apply and share what they learn.